Following up this week's Transformers Generations Blitzwing review here's the second triple-changer in the wave, Autobot Springer. 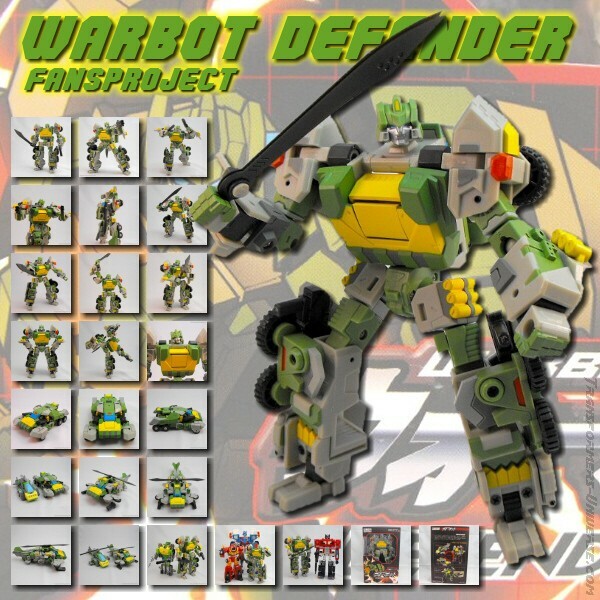 You may get mixed, biased reviews about him online because of the massive influx of Warbot Defenders, the 3rd party Springer, that went up on ebay when he was announced. A lot of the elite collectors who shelled out a hundred bucks for a smaller, less articulated, lego-brick-esq 3rd party figure are raging because it's no longer desired. Some have gone so far as to demand hasbro provide them with renumeration for their loss (you didn't make the character soon enough so it forced me to overpay for a copyright infringing stand-in!) and one internet manchild even started a propaganda plot on multiple sites trying to convince everyone the line was cancelled so they'd drop their preorders. It was a sad, sad day for Transformers fandom but it just goes to show you how passionate fans get about the Transformers license. Springer actually had a deluxe Generations done of him just last year in the form of the Asia exclusive repaint of Tomahawk that I reviewed here so you can have both scales in your collection. How does he stack up against his buddy Blitz and today's current offerings? One word: DAMN. Springer's sculpting is to put it lightly, absolutely 100% astoundingly amazing. He looks like Springer, his proportions are perfect, his headsculpt is flawless, and I cannot find one gripe about how he appears in robot form. In an era of hollow Transformers Springer is not one of them. Ok I take that back. The insides of his thighs have hollow spots BUT THAT IS IT. Every other part of him is filled in solid with sculpt. His hands are even sculpted with more detail than normal. I was floored by the difference of design between him and Blitzwing. Heck, him and any other Transformer I own. Springer is just that impressive looking. Hasbro even went to the extent that you can extend his shoulder pauldrons up and to the side to simulate his look in Last Stand of the Wreckers. The moving pads serve no other transformation purpose other than to give you a bonus look to him. Bravo! But with an amazing sculpt you're expecting a brick right? Nope. Springer's articulation is above and beyond what we have previously had and borders on Masterpiece level. His ball jointed shoulders can be raised an lowered on dual joints, his head has a great ball joint, hinged and swivel wrists, waist that turns, and full range of motion on every limb including moving toes and heel. His feet are sculpted in a side-step angle so he has no ankle rockers but that's the only missing part. Springer can hold his sword in both hands (or at least mimic it since the handle is too short for that), aim any direction, side kick, uppercut, it's truly amazing. This range of articulation coupled with the sculpt means you will get some great looking poses out of him. Paint application here is very clean and consistent over the entire figure. His main colors are molded in plastic with little painted details here and there to break up the colors. Springer's chest is very bright yellow and you may want to do some panel lining or something to bring out the detail that's on there but lost because of how bright the plastic is. The inside of his rims are painted, yay! That's been missing on what, 90% of all recent Transformers? Even the tiny wheel nubs of his knee guards are painted. Springer's accessories include a large double barrel missile launching gun and a transforming sword that doubles as his rotor blade. Both are excellent, the gun having a double-trigger that fires off the missiles separately depending on how far you push it. Springer's rotor sword has multiple hinge spots that allow you to twist, transform, and lock it into place in both modes. It also looks awesome in both modes without sacrificing sculpt for functionality. The sword stores underneath in car mode and the cannon attaches with a special hidden clip underneath in helicopter mode. The cannon's handle is also hinged so you can aim it up/down when it's on top of the car, how cool is that? You can also combine both weapons to form a Gunblade! Uh-oh here comes the transformation part. A triple-changer that looks good in robot form, but what about the other two? They're perfect, done, go buy him. That could be the end of the review, heh...but I'll elaborate. Springer's armored car mode rocks. It's sleek, large, and there's no kibble from his other modes. In fact there's no feet, hands, head, or anything sticking out of ANY of his modes. This is a first for me because even Transformers with just two modes usually have some kibble or parts showing. It's even all hidden when you flip the car upside down. What sort of wizardry is this hasbro...and why haven't you been doing this from the start? Helicopter mode is no slouch either and it's remarkably simple to get Springer from robot to car, or car to copter, or any direction of transformation simply because each part of him is engineered perfectly. Everything pegs securely into something. Arms become doors which become fins. Feet become wheels which become tail sections. The hood of the car slides back and the sides lock on to become the cockpit and the copter mode doesn't suffer at all. I could very well see someone buying three Springers just to display him in each mode because they look that good. I apologize if I sound like I'm gushing over this figure and have a bias. I actually look for problems and love figuring out fixes (like poor Blitzwing's issues, yikes). But I have nothing to fix on Springer and enjoyed him right out of the package. This is very rare for me and I'm still looking at him thinking we just got the next Generation of Transformers figures right here. Springer even looks good from the back! Compared to his buddy Blitzwing in the same assortment you have a Masterpiece figure here. So what's the verdict on Springer? You buy him. You find him, you order him, you trade for him, you add him to your collection and never let him go. Our sponsor Big Bad Toy Store has him, Blitzwing, and even his remold/repaint Sandstorm who looks equally awesome. You can also snag him from Amazon and get free shipping when it's sold directly from Hasbro not a private store, and you order $25 or more. So there you go. Springer is my favorite Transformer in my entire collection now. Not because of the character but because he's a solid, super articulated voyager class figure with great accessories, three great modes, and thoughtfully designed in every aspect. Hasbro/Takara if you keep making figures like this you'll put 3rd party companies right out of a job. After a good year or so on hiatus the Transformers Generations line is back (once called Classics) and from what we've seen it could prove to have the most amazing offerings ever. Right off the bat we're treated to two VOYAGER class TRIPLE CHANGERS Springer and Blitzwing. Yeah, you don't see Voyager class TC's very often. In fact the only one I know of is the Transformers Animated Blitzwing tho I'm sure there's more. Today we're reviewing the 30th Anniversary Transformers Generations Blitzwing. Springer's review will follow a few days later. Let me spoil the review for you really quick, without the modifications mentioned at the bottom you're going to have a difficult time enjoying the figure. Get a screwdriver and some sandpaper handy. Blitzwing's sculpt is solid. He's an excellent homage to the original figure. The chest designs, panel sections, and head make him seem very G1 in appearance. He sports three different faces as well which are based off his Transformers Animated design. They're sculpted in soft plastic but look great. The tank treads on his legs and flat feet are a welcome change from the jet-exhaust-legs he's always had and work for the overall look. The arms, hands, and everything else is sculpted in the Generations blocky form as well. Articulation has been done quite nicely and is only lacking in a few areas. Blitzwing's head is only a cut joint due to the face-change feature but doesn't hurt his look that much. His ankles are on great ball joints, all his major joints swivel or hinge, and he's only lacking a waist joint in terms of major features. Blitz can be posed in some pretty neat positions and could hold his sword in both hands if the handle was long enough. His knees are hinged towards the back leading to a gap showing in the front when bent but have decent range. Transformation is dealt with in three forms. One being his robot form which is already transformed for you out of the box. Getting him into plane mode is relatively easy with a few flips and folds. The wings are a little short and the feet don't quite look like thrusters, more like flattened rocket boosters, but I do like how he has Jetfire-esq pods on the top now. Eveything pegs together fairly well except for the legs not snapping completely in against the torso which can be fixed as explained in a bit. Blitzwing's tank mode is definitely recognizable as a tank but is the weakest of the three with gaps leaving it with a less than solid look. The arms just line up beside the cannon to form the turret (which can turn and raise) and the front has a fairly wide space on either side where his hips extend for clearance. The plane rear fins flaps and feet just kind of sit there in the back rather than fold up to make anything. But it's definitely a tank of some sort because I can see treads. A missile can be inserted into the barrel and fired by pulling back on the cannon thus replicating a cool 'recoil action'. It's a pretty neat feature and gets rid of any obtrusive buttons/lever fins so like to see this on more figures. Accessories include the aforementioned missile, his trademark arrow-shaped sword, and a small rifle that doubles as the tank's top machine gun. The wings have ports underneath them where missile pods could have gone tho none are included. Blitzwing's action features are the launching missile and a neat feature where you can spin his face down to reveal the monocle-eyed face or black-and-red crazy face that he had in the Animated series. Each one looks great but some may find it difficult or impossible to spin the faces...leading me to the next section of the review. Quality control... this figure is rife with issues. Right off the bat you will find the shoulder pegs are too short to lock inside the chest (or the chest is too wide) and thus the whole shoulder assembly unfolds whenever you move his arms up. Then there's the issue with the helmet being too large to fit inside the nosecone and paint rubbing off. Inside the helmet there's often too much paint inside and on the rod that the faces spin on making them hard to turn. These three issues led to many people returning the figure but there's a quick fix to each one. from his back and sand down the edges on his back that meet to the front of the torso, and alternately the screw posts that touch the back section so that the two halves come together. Take off the thickness of an American quarter on the sections circled in red in the picture and that should do it. To fix the nose cone issue you have two options. One, take acetone and wipe all the purple paint out of the inside of the cone and then take apart the cockpit and remove the spring that pushes his head up. But the best way is to take a large engraving Dremel tool bit and hollow more of the nosecone out. This removes the paint and gives the head more room all at once. To fix the spinning face just unscrew the head and sand off the yellow paint on the rod the faces spin around. If they still hit then glue the chins of each face to the back of the next head, making the three spinning faces one solid wheel. So what's the verdict on the long awaited redesign of Blitzwing? Without the fixes in place he's going to drive you crazy unless you sit him on the shelf in robot mode and leave him alone. But if you want to pose/transform him more often you will need to fix him, otherwise he'd be a pass for me. His size is great, his articulation, paint, all that is great. But those QC issues hold him back from being a great figure. I can even forgive the gap-tank as the plane is a pretty neat design and I love how he looks in robot mode. Our sponsor Big Bad Toy Store has him and Springer (who has NO qc issues and is a GREAT figure!) and you can also snag them on Amazon with free shipping on orders over $25. Blitzwing and Springer are also showing up at Targets tho they sell out the very day they hit the shelves it seems. Stay tuned for Springer's review! The last three figures in the Iron Man Legends line have finally surfaced and you can complete your Iron Monger Build-a-Figure! These are released three per wave just like the first set, which can still be found on the shelves at the time of this writing. They're under the Marvel Legends line technically but have Iron Man card art in the corner with the packages being your basic bubble card-backed ones. We get the Iron Man III movie mark 42, Movie Iron Patriot, and Ultron. So how do these figures stack up? Let's find out. Sculpting for the Mark 42 is straight from the movie and looks sharp. All the tech detail is there with a great headsculpt and armor separation lines. The knees look a little odd from the side when bent because of the kneepad cut but that's not noticeable head on. Iron Patriot's sculpt is also dead on to the movie with the nifty separated faceplate sections and redesigned look. The wrist-guards are glued on this time and won't be lost like the ones on IM 2 War Machine which were loosely hinged. pads. This works for Ultron pretty well and only the feet look a little off with the large treads. You can easily trim them down with a hobby knife however. Ultron's new headsculpt is a perfect classic Ultron and looks really nice with his open mouth and ear antenna. A bit of the detail is lost being that he's almost entirely silver but it's still there. Articulation for Mark 42 is amazing. Everything twists, turns, and bends. He has the new 45 deg ankles that allow side-step motion and can even get into the ground-pound pose that's almost an Iron Man trademark now. His shoulderpads don't limit the articulation as they're softer plastic. Mark 42's ball jointed torso moves in all directions as well. Only the wrist guards hinder the ability for this palm to face forward but are still soft rubber enough for partial movement. 90 deg angle ball hips are back and allow for perfect leg posing! Iron Patriot's articulation is a little more hindered as his feet can't move to the side because of the ankle guards and his wrist guards block up against his forearms preventing the repulsor-palm motion. Other than that he has the same style and excellent range of motion of the Mark 42. His shoulder pads are hinged and flexible allowing for any arm movement. Ultron's Articulation is the same as the Titanium Man I reviewed a while back and only lacks side ankle movement and has the 45 deg hips. Other than that he's golden, er, silver. Paint apps are pretty clean all the way around. Mark 42 has a nice gold/red definition to him with a metallic red plastic used for the base and while there's a little slop around some edges it's nothing a dab of Testors Acrylic Gold paint can't fix. His eyes and chest repulsor are really nicely detailed, the eyes having the black outline. Unfortunately his right hand repulsor isn't painted. Iron patriot's metallic blue plastic base is stunning and the paint was applied neater than the Mark 42. None of the figures have the new plastic layering technique the Bleeding Edge Iron man from the earlier wave had however. base with a tiny bit of blue airbrushing in places and some red on his face/shoulder pads. He may look a little plain at first but Ultron was always a shining silver robot and the swirly metallic plastic will grow on you. Only Iron Patriot comes with an actual accessory, a removable and fully articulated shoulder gun which can aim any direction and fold up against his back. The other figures come with the parts needed to complete your Iron Monger BAF. And what a BAF he is! Iron Monger is a direct upscale of the 3 3/4" Iron Man II figure of Iron Monger. He looks menacing and the metallic blue plastic is sharp. The eyes, chest, antenna, and hoses are the only thing painted but he still looks great. His articulation is equally amazing with a great neck and ab joint, great shoulders and legs with plenty of rage. Only his wrists are slightly blocked from turning all the way due to the arm guards. Once assembled he's a good inch and half taller than the other figures. So what's the verdict on the second wave of Iron Man Legends? If you're building Iron Monger you'll need them. Ultron could be a pass if you already have the Marvel Select version but this one is much better to scale and has better articulation. Mark 42 and Iron Patriot are excellent figures especially if you like the movie style figures. I'd recommend picking up all six in the series to complete Iron Monger. You can always sell him or single figures you aren't interested off on Ebay if you want to make some of the money back you spent. 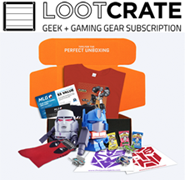 Our sponsor Big Bad Toy Store has them here or you can snag them at Amazon with free shipping if you spend more than $25. The new Superman reboot movie simply titled 'Man of Steel' is coming up and the toys are already hitting. Some of the kid-based ones possibly give away spoilers as to the enemies he fights and a possible movie plot. Here we're taking a look at the Movie Masters Jor-El from the collector based line, judging from the addition of 'Adult Collector' printed across the package. He's Superman's biological father that stayed on Krypton and is played by Russel Crowe in the movie. Sculpting for Jor-El is startlingly detailed given we had a fairly lackluster Green Lantern Movie Masters offerings before this. The armor is an instant stand-out with all sorts of tencho-organic looking features and a textured under suit. You can make out the 'S' on his chest, the Superman family crest as it's explained, with strands of armor 'growing' around it. Russel Crowe's face is instantly recognizable and done with equally excellent detail that's just a step or two below NECA quality. There's also the addition of flexible hoses that run underneath Jor-El's arms to his back. two-toned metallic that has been highlighted with a brass color and really makes the detail pop. The blue under suit has airbrushed shading as does Jor-El's flesh tones of his face and neck. The eyes, beard, and hair are carefully painted with the beard standing out having some nice shading. While there's not that many different shades of color here they work for the knight-armor style of design. Jor-El's articulation is standard Mattel style except he's lacking an ab-crunch or tilt-ankles. Every joint has decent range of motion save for raising his arms straight up as the hoses restrict how far they can move. That means no flying poses for Jor-El here. Decent ball jointed neck movement and nearly 90-deg hips mean you can get him into some interesting poses nonetheless. I would like to someday see tilt ankles return to mattel's offerings especially now that Hasbro has perfected them with their Marvel Legends line. His shoulderpads are permanently attached to his shoulder balls but really don't get in the way of articulation all that much but strike the collar before moving all the way up. giving us useless ones (Batman crime evidence/mini-masks) simply nothing (lack of any MM Green Lantern constructs) or impossibly hard to complete BAFs (TDKR Bat-Signal-good-luck-building-it parts). Here we only get a stand cast in a steel color with a yellow S painted upon it. The stand is textured but lacking any sculpt to the S which is simply painted on making it look sort of cheap. Jor-El stands just fine without it and the peg is slightly larger than the foot hole meaning you'll really need to twist it on. So what's the verdict on Superman's Papa here? He's in interesting figure both in appearance and possible customizer fodder. I'm sure people have been wanting a Russel Crowe at some point and this is the first 6" version we've received. However the $16.99 and up price point is going to be a big turn off especially since there's no BAF part or decent accessory. Jor-El is scaled a little under 6" making him work with some figures but look shorter than most DCU/Marvel Legends. He does scale well next to the Batman and Green Lantern Movie Masters which were shorter than 6" to begin with so that may not be a deal-breaker for everyone. You can find the Man of Steel Movie Masters series at your normal mass-market retailers like Target, Walmart, and Toys R Us. Freelance artist who customizes different lines of action figures including Transformers, Marvel, DC, video game, and other properties.